Pickin’s have been slim on this here blog of late. Stuff has been happening, films and music videos have been made. In an effort to provide some kind of structure to my movie watching and give me an ongoing feast of cinematic subject manner I’ve decided to dust off a newspaper series an ex flatmate collected for me which will provide the guidance I need. In June 2007, the Guardian published a 4 day series titled “1000 Films to See Before You Die”. Being that I’ve just turned 36 and am quickly hurtling towards the point in life when one’s mortality becomes a reality, I have decided to systematically watch the films in order, just so that I know this existence of mine has meant something. In the list are some very famous titles, and some flicks that can only just be seen from the beaten track, cowering in the thicket but desperate for attention. I’d like you to come along for the ride, if you don’t mind……. We start with the letter A….. Seems logical and right. 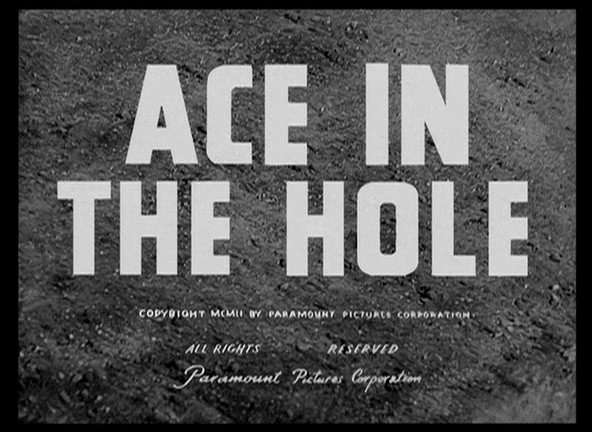 Wedged between the highly successful SUNSET BOULEVARD (1950) and STALAG 17 (1953), ACE IN THE HOLE is a cynical, uncompromising, downbeat masterpiece, although audiences of 1951 did not think so at the time. 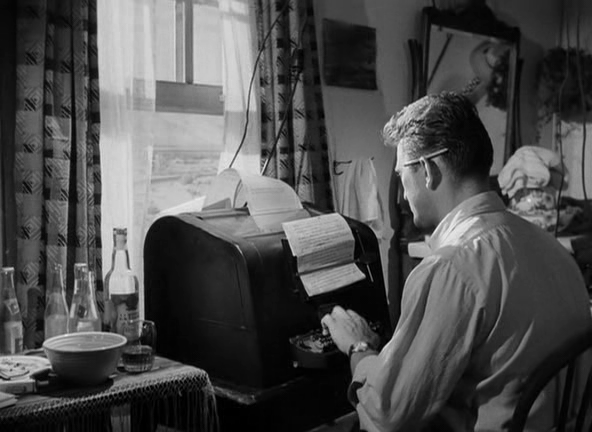 This picture brought in a loss at the box office, a rarity for a Billy Wilder film. 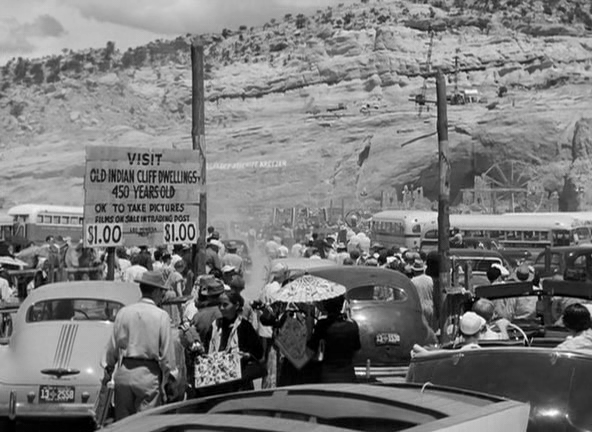 It is reassuring to know that even back in the 50’s, box office numbers were no gauge of a movie’s artistic merits. 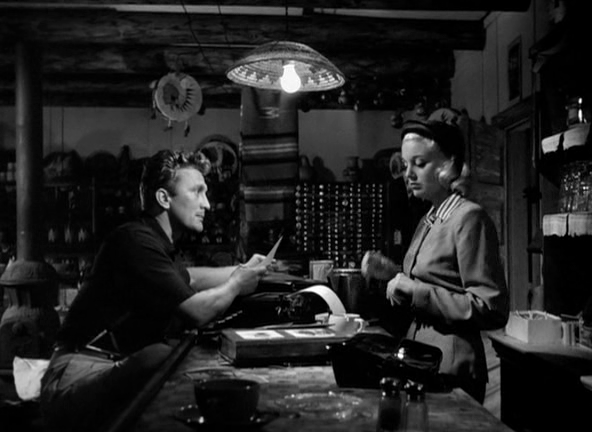 Kirk Douglas plays the bolshy, confident, big city newspaper reporter “Chuck” Tatum who has breezed in the the small town surroundings of Albuquerque, New Mexico in search of a job. He arrives at the offices of the Abuquerque Sun-Bulletin and quickly secures a meeting with the boss, Mr. Boot, played by Porter Hall, an old timie newspaper man who runs a tight ship secured with professionalism and sound ethics. Tatum offers his usually $250 a week services for only $50. Billy Wilder places a huge character question in the minds of the audience up front. If this guy is so experienced and good, why is he willing to work for a small town paper for a fraction of his normal salary? The answer to the question quickly becomes apparent. It is not the salary that Tatum is interested in. He is looking for a way back into big time journalism and sees this small town rag as the perfect launching pad to reignite his career. Billy Wilder is not so forthcoming with the specifics of why Chuck has fallen on hard times, although the negative influence of liquor is alluded to in a subtle, coded way. It is interesting to note the embroidered sign in the newspaper that yells “TELL THE TRUTH”….. What, or who’s truth is the sign referring to? A year passes and nothing has happened. Small provincial stories have done nothing fire Tatum’s interest or progress any interest in his work. 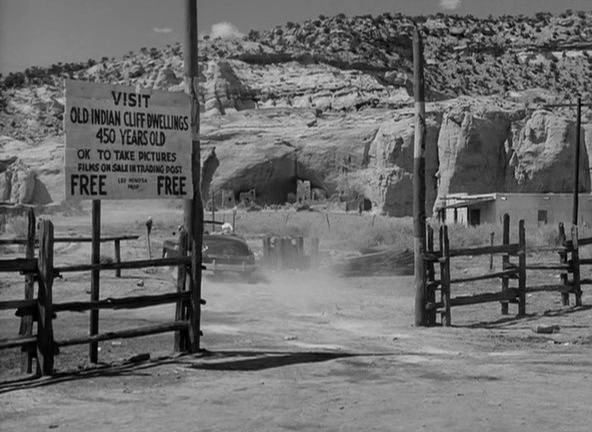 A rattlesnake hunt offers Tatum and his trusty photographer Herbie (Played solidly by Robert Arthur) the chance to get out of the office and cover some news. It is on the way to this dour assignment that they stumble across the incident that will become the dramatic core of the movie. 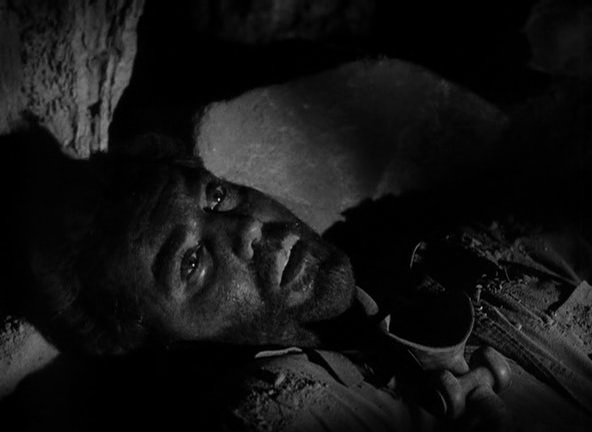 Leo Minosa, a man foraging for Indian artifacts to sell, has become trapped down a crudely constructed mine. It is the discovery of this tragedy that prompts Wilder to kick start his investigation into how low humans can stoop in times of adversity in the name of personal gain. Tatum sees this as his chance to get back into the favour of the journalistic main players and goes out of his way to prolong the rescue efforts. Herbie, who has for so long worked under the moralistic shackles of Mr. Boot is offered a gateway to the mainstream. Lorraine Minosa, wife of Leo, played brilliantly by Jan Sterling, quickly realises that the media furore could bring in some much needed cash to their roadside diner, and so colludes with Tatum to instigate the circus. The circus does indeed ensue and this brings the revenue Lorraine so desires and the exposure Tatum has been striving for. 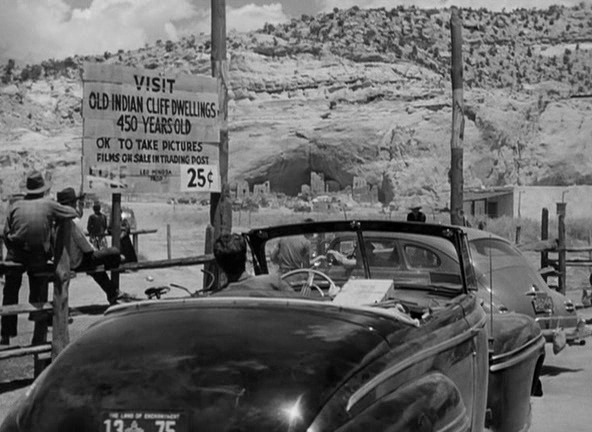 Wilder shows this this very simply using a recurring shot as interest heightens. This carnival is given extra hideousness by the actions of Tatum when he goes underground to speak to the stricken Minosa. 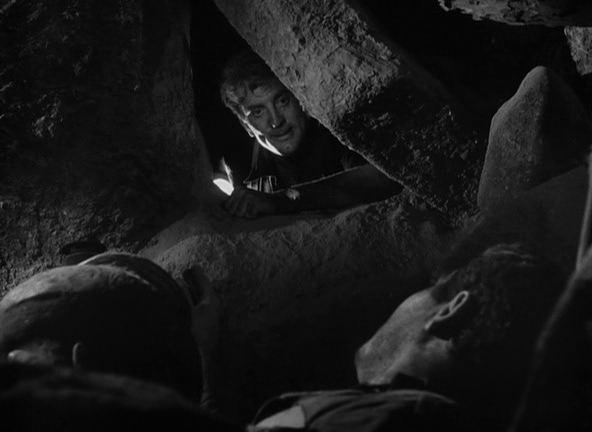 He reassures the man that all is being done to save him, when is fully aware he instructed the rescue teams to carry out a more time laborious method in order that his story may run a few days longer. It really is brutal stuff. On watching this flick, you may be compelled to take a shower afterwards to wash all that dust and deceit off your eyeballs. As unsympathetic and terrible the characters may seem in this film, it comments very eloquently on the thirst that the media, and subsequently the public, have for sensationalism and big headlines. 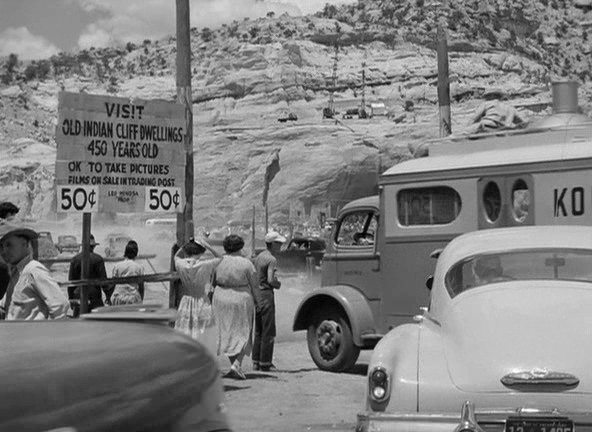 It is still very much the case today and for this reason, I think this film would appeal to even those that have a resistance towards “old” movies. Go spend some time with Tatum, he’s an absolute dog.